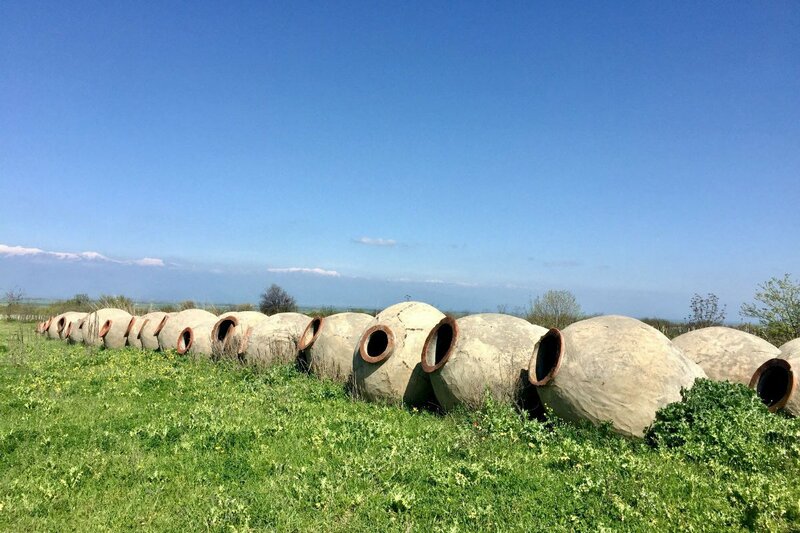 Once buried in the ground, qvevri are used for the fermentation, storage, and aging of Georgian wines. Where the foodies flock, the rest follow with open hearts and mouths. 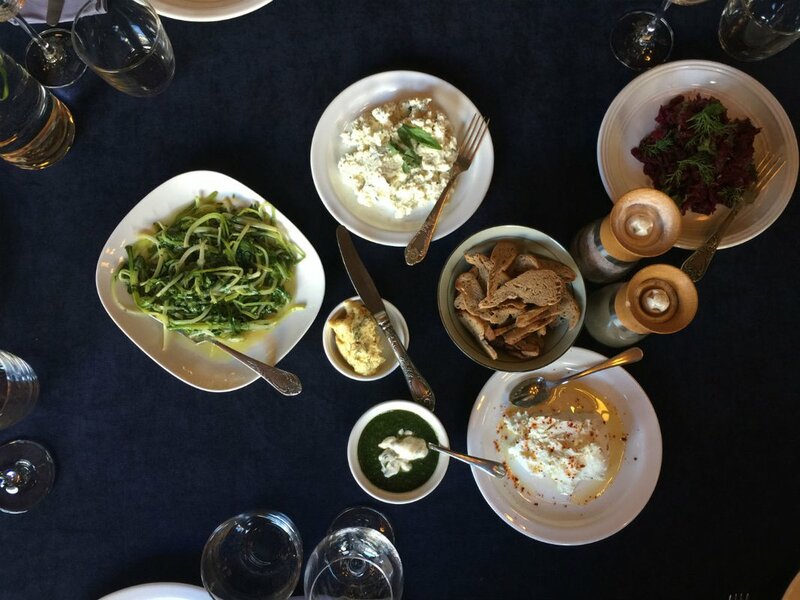 The Republic of Georgia, one of Fathom's Top 10 Places to Go in 2018, has ramped up its gastro game with heritage ingredients for farm-to-table dining and a natural wine scene with ancient production methods. Fathom editorial director Jeralyn Gerba visited wine country this spring and has been drinking only weird, natural vintages ever since. 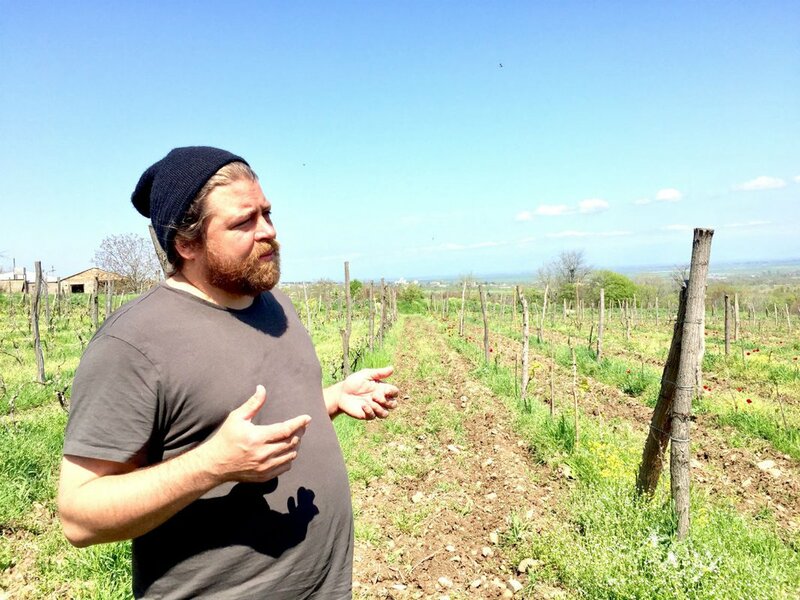 KAKHETI, Georgia – “Too many wines that leave Georgia don’t speak Georgian,” says Johnny Wurdeman, swirling a glass of amber-colored liquid in the sunlight. 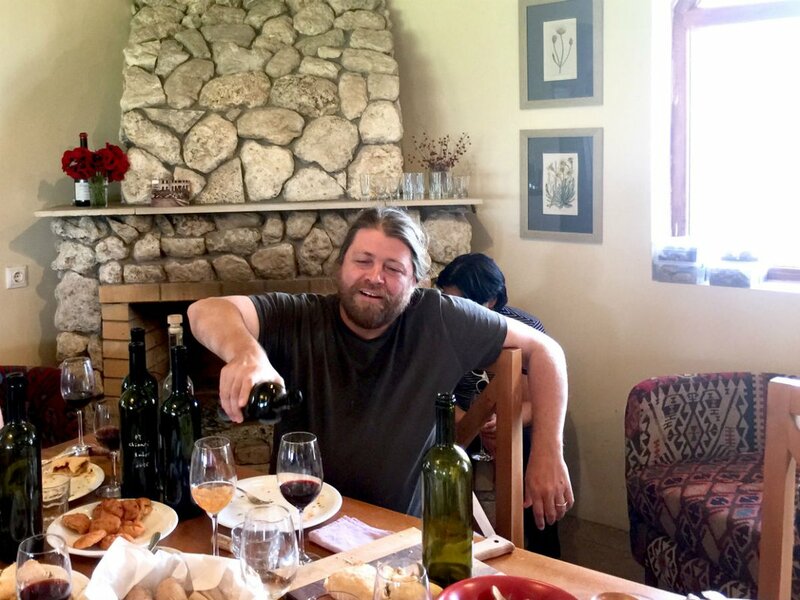 The winemaker, raconteur, and ambassador of natural wine in the Eurasian republic is talking about the industrialized wine economy that replaced the country’s all-natural winemaking tradition during Soviet rule, when nearly all national traditions were squashed fell out of favor. It has taken 70 years to bring the classical method of winemaking back to life in the country, a process nearly as slow as the low-intervention wine method itself. A New Mexico native who rambled from Russia to Georgia in search of the perfect place to paint landscapes and make field recordings of traditional music, Wurdeman fell in love with Georgia’s 8,000-year-old traditional system of producing fermented beverages, what he calls, "the most sincere reflection of the terroir.” He also fell in love with an eighth-generation Georgian winemaker, Gela Patalishvili, and the pair, with help from an industrious neighbor, opened Pheasant’s Tears vineyard and winery in the Kakheti region of eastern Georgia, about an hour from Tbilisi, the capital everyone compares to Berlin. But the vibe in wine country is more like Tuscany without the tourists. And the austere Georgian method of turning grapes into wine is bold and beautiful. Out here, indigenous varieties of grape are plucked from the vine, lightly pressed, and stored in enormous beeswax-lined ceramic vessels called qvevri that are buried in the ground, protected for nine months in the stable “womb of the earth.” The process yields zingy, let-your-hair-down whites and reds — more herbaceous, naked, and wild than any of the buttoned-up bottles sold at your local liquor store. John Wurdeman of Pheasant's Tears. At a tasting in the above-ground cellar, we quaff in the old-school format, breaking the beeswax seal, dipping a long-handled ladle into the earthenware vessels in the ground, and sipping from the vat of peachy liquid. This batch is slightly effervescent and perfectly suited to the sunny afternoon. The old ritual plus Wurdeman’s storytelling makes the experience more exciting than any wine tour I have ever been on before. We move to a shaded second-story terrace, simple but stunning in its panorama over the vines. More orange wines are being poured and swirled and sipped and sniffed and slurped, and we’re hearing about “a conservatory of grapes turning into living songs” before someone else calls us down to the tasting room for Georgian snacks. It all sounds like music to my ears. We’re in the midst of a monoculture backlash, and not just in Georgia. All over the world, in just about every industry — from music to fashion to art to politics — there are opines for the weird, the obscure, and the artisanal. Despite well over a thousand known grape varieties, eighty percent of the world’s wine is made from just twenty kinds. That’s changing in small pockets of countryside from America to France to Tasmania. 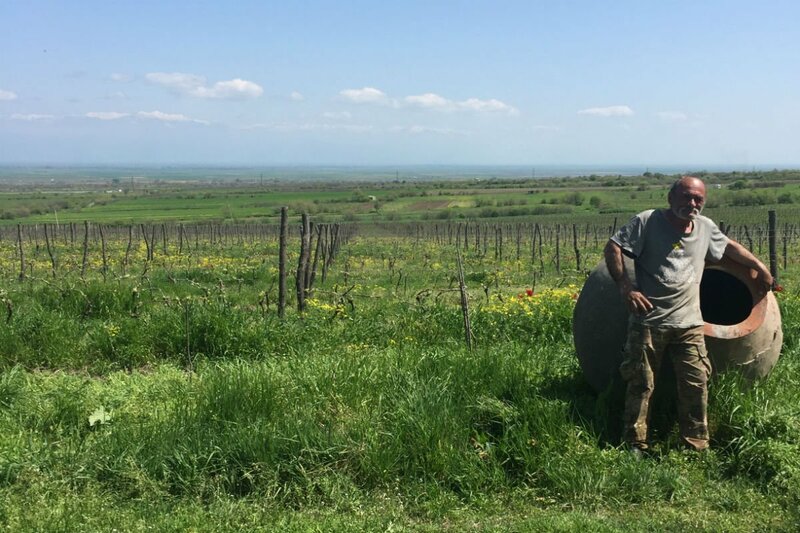 In Georgia's Kakheti region, just about everyone has a stake in the natural winemaking process, from organic growing to hand-harvesting to bottling and distributing. Thanks in part to proselytizing from natural wine enthusiasts and makers, there’s a fresh crop of young city folk moving to the countryside to build niche businesses in Georgia’s burgeoning market. A local spread accompanies a wine tasting. Just a few bottles before lunch. Wurdeman also thought a festival would be the best way to show other farmers how to produce in this forgotten manner. So he organized the now annual Zero Compromise natural wine fair in Tbilisi, a gathering of small-batch wine producers, viniculturalists, and enthusiastic wine drinkers looking to taste and test hard-to-know grape varieties and share challenges and successes from vine to bottle. 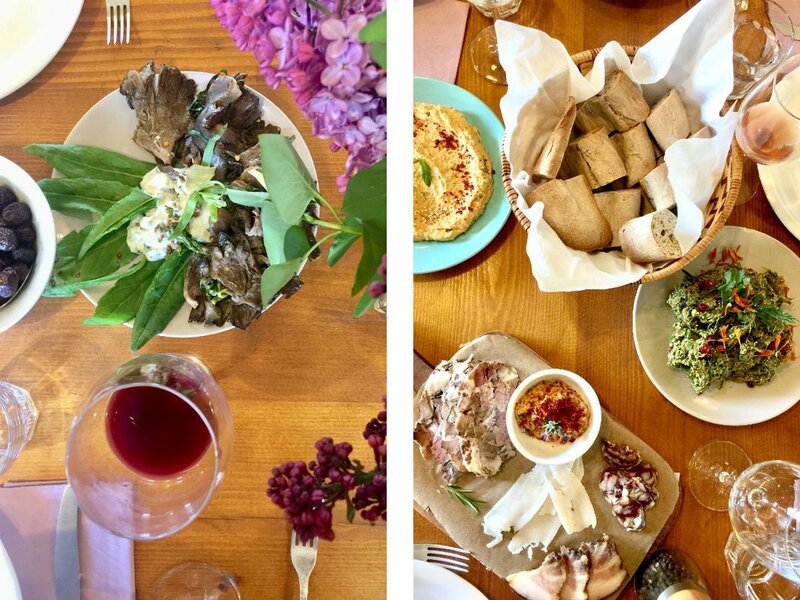 Then came a culinary touring company called Living Roots, which introduces intrepid travelers to the beauty of the landscape and its people through food and drink. The timing couldn't be better — tourism in Georgia is on the rise (over fourteen percent growth in 2017) with nearly 80 percent of travelers being first-timers. People are coming to party, eat, and drink — and everyone's leaving with a buzz. Myself included. Four months since my Georgian tour and I can't stop thinking about (and buying) all-natural, organic wines. Sometimes they’re weird, sure, but more often they remind me of Georgia — under-the-radar, surprising, hospitable, and good to the last drop. Cozy vibes at Pheasant's Tears restaurant. Kakheti is a one-hour drive from Tbilisi by car. The nearby town of Sighnaghi is charming and walkable with clear views of Alazani Valley and Caucasus Mountains. With advance planning, travelers can visit Pheasant's Tears vineyard and winery for a tour and taste. Pheasant's Tears restaurant is open for lunch and dinner. You'll be pleasantly surprised to find Kabadoni Hotel in the middle of town, a modern boutique property with nouveau and eastern motifs. It makes for a nice overnight in wine country. Zero Compromise natural wine fair takes place yearly in Tbilisi and has events open to the public. 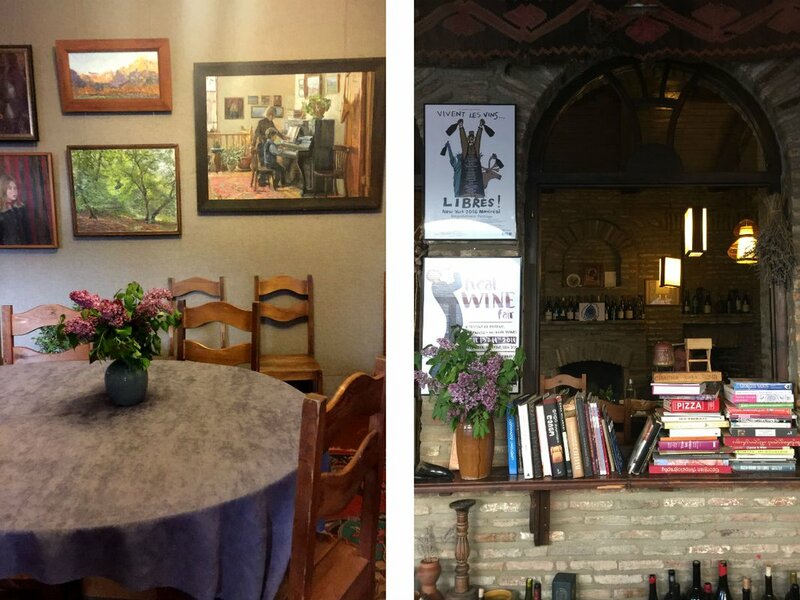 Vino Underground is the best wine shop and bar in Tbilisi for tasting and carting home bottles of natural stuff — the store showcases nearly 100 family-run wine labels. For travelers looking to get the full farm-to-table education, Living Roots organizes full-fledge gastro tours in the heart of The Caucasus. For more information about Georgian wine and its growers, visit the Winegrowers Association of Georgia website.